In 2004 I co-founded the DIY Art collective Black Dogs. 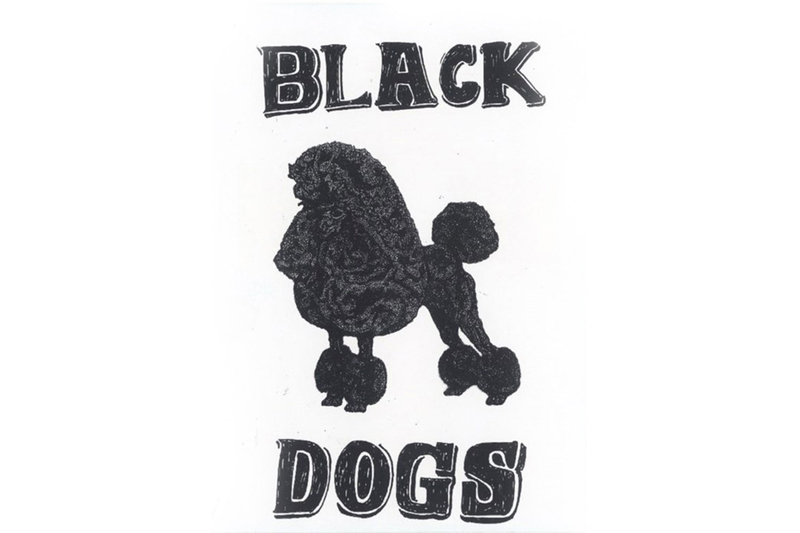 Initially based in Leeds, Black Dogs grew to now have members across the UK publishing, exhibiting and organising events in sites as varied as working mens clubs, derelict buildings, indoor markets, artist run spaces, ICA (Glasgow) and Tate Modern Turbine Hall. (London). Black Dogs had a profound impact on my art practice and it I developed a philosophy that guides how and why I make my art to this day. My belief that art is life affirming action rather than a means of production and taught me how to use absurdity, beauty and humour to create interactive sculptures and situations that allow audiences to experience the world anew. Black Dogs was the place I first started to make interactive artworks and was also where I learnt to love collaborative art making. I left Black Dogs in 2008 due to creative differences and when the logistical realities of long distance working became apparent. For me, t the most valuable part of Black Bogs was a conversation about what "art" is and what its social purpose can and should be, and this required a time commitment and intimate relationship that could not be sustained from separate continents. Despite this, I am grateful to have shaped and been shaped by my time and Black Dogs and am extremely proud to have started an art collective that continues to this day.